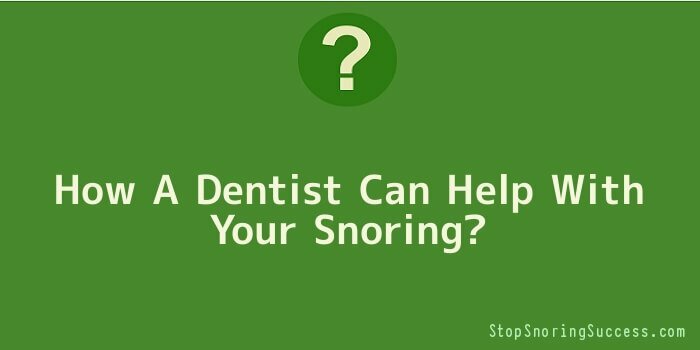 How A Dentist Can Help With Your Snoring? It is very hard to believe that a dentist is able to help you with your snoring problems. A dentist is able to make a custom made oral device to fit you perfectly that you can wear during the night comfortably. How this device works is that it prohibits the bottom jaw from dropping lower which is the cause of snoring. Once the device is in effect, it pushes not only the jaw, but the tongue forward too. This will also stop the tongue from falling back into the throat area which is a huge factor in snoring. This device will eliminate any obstructions causing you to snore. One very positive aspect of devices such as these is that you will not have to go for any painful or invasive surgery. The device only has to be worn when you sleep and will imply only slight side effects, nothing in comparison to losing out on a good night’s sleep. This device is called the NORAD, which is an abbreviation for Nocturnal Oral Airway Device. The device works like a charm, helping many people around the world with their snoring problems, and partners get a good rest, although this device could cost you an arm and a leg. This device does not include any drilling and making holes in your teeth to fit the device in, but rather the device will be molded to fit your mouth. The device is usually made immediately, so that you can use it right away. Whilst you are wearing this device at night, you will still have complete functionality of your jaw and tongue. One is able to order a custom made NORAD, but one must keep in mind that a device will last you about 3 years with proper care. Many people who have used this device have reported that the NORAD works extremely well, although if they did not insert it at night, the snoring returns. The perfect person to try this device is someone who suffers from mild to moderate sleep apnoea, and if you are fortunate, your hospital plan will cover it. After using this device, you will feel much more relaxed and refreshed in the morning, and your partner will also.